Spiffy mid-century traditional w/ period details on a charming block in the heart of the Annex. Recently refreshed w/ tasteful finishes, & split level layout offers a nice separation b/w public spaces & bedrooms. Huge living room features a fireplace and glass sliding doors to a lovely side yard patio. Vintage elements in the kitchen & bath. Light filled throughout, w/ massive amounts of storage, gracious closets everywhere. Large two car garage w/ workshop bench offers interior access to the home. Newer forced air furnace & water heater, minimal termite, and sewer lateral compliant. 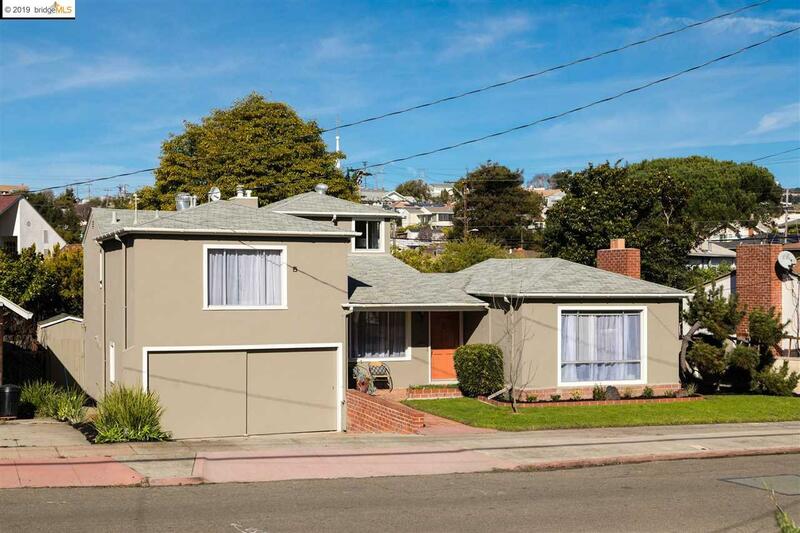 Located on the edge of the El Cerrito border with nearby Natural Grocery/ Food Annex & cafe, Cerrito Theater, Elevation 66, and Off The Grid to enjoy. Convenient for commuters, with BART nearby and easy freeway access to Marin, San Francisco, and Oakland. WCCUSD school locator marks the home in zones for Fairmount, Korematsu, and El Cerrito High - buyers to verify.